So far in the 30 Days With Google+ journey I have invested a lot of time understanding, working with, and complaining about the Circles. With nearly a third of the experiment over, I decided it's about time to switch gears and take a look at some of the other aspects of Google+, so today I am checking out Sparks. For some reason, Sparks doesn't rate a position on the top icon bar alongside the Home, Photos, Profile, Circles, and Games icons. But, on the left pane of Google+, under my name, and beneath the Stream, and the links to filter updates by specific Circles, there appears the lone word "Sparks". Sparks lets you easily find and share information that interests you. On the Google+ Project overview page, Google describes Sparks using an analogy of my grandfather cutting articles out from his local newspaper and mailing them to me. Maybe my relationship with my grandparents was deprived, but the analogy is lost on me. It seems very "Normal Rockwell", but I can't recall the last time I saw anyone in my family actually read a physical newspaper--much less clip articles to send by snail mail. If anything, they might see an interesting article in the paper, then jump online to find a link to that same article to send me via email--but honestly they don't do that either. I imagine the nostalgic analogy is lost on most people, but what do I know? What is Sparks, really? Sparks is a way to track tags or keywords that interest you. You can create a "Spark" for pretty much anything you might normally search on Google, and when you click on the Spark for that interest it will display a feed of related links and stories. The integration with Google+ and with Circles makes it easy to share items of interest with friends and contacts. Taking my grandfather out of the equations, I see Sparks more like incorporating the concept of Google Alerts directly into the Google+ social network. I have a variety of Google Alerts set up to monitor the Web for me and send me daily digest of relevant information related to my Google Alerts search terms. Sparks does basically the same thing, but it does it as a link directly integrated into Google+ instead of an email sent out once a day. There are two ways to use Sparks. You can type keywords into the search field and use Sparks as a sort of Google search that is integrated from within Google+. 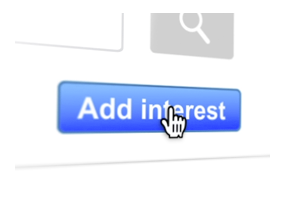 Once you complete a search, you can also click the "Add interest" button to pin it as a link under Sparks in the left column for quick access. I like Sparks, but not for how Google intended it. Carrying the Google Alerts analogy forward, it takes a special combination of skill, luck, art, and science to find the right set of keywords to target the information you really want. It is very easy to be too specific and miss relevant news, or too broad and end up with a feed filled with junk you don't really care about. The same is true of Sparks. I am interested in NFL football. I'd like to have a Spark that I can click on and see updates, information, and breaking news about the NFL, so I searched "NFL" in Sparks. The top link was about a retired NFL player who had passed away, though. I just want to know what's going on with NFL players and teams today as it relates to the 2011-2012 NFL season--not everything remotely related to the NFL. I found better results by refining my Sparks search to "NFL 2011 season". But, what would be better is if Google could incorporate channels--similar to the way I have NFL and MLB sections added to my Yahoo News page. I don't think I will be using Sparks to constantly track specific keyword searches--in other words I don't really see the value of the "Add interest" button. However, I think it is nice to have the Google search capability integrated within Google+ so I can search for and share information without leaving the social network site. What do you think? If you are using the Google+ Field Trial along with me, feel free to comment and let me know how you use Sparks, and whether it seems useful to you. Maybe I am missing something?